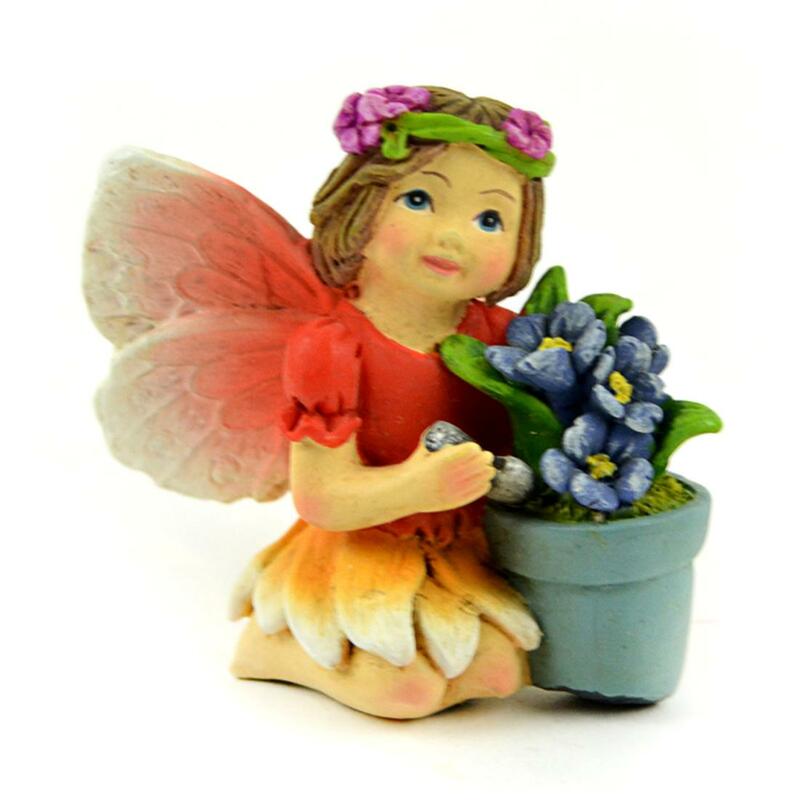 Red fairy with a green headband with purple flowers, holding a blue/green flower pot with blue flowers planted in it. The fairy has wings that are red at the base then fade into white. Red fairy with a green headband with purple flowers, holding a blue/green flower pot with blue flowers planted in it. The fairy has wings that are red at the base�then fade into white.